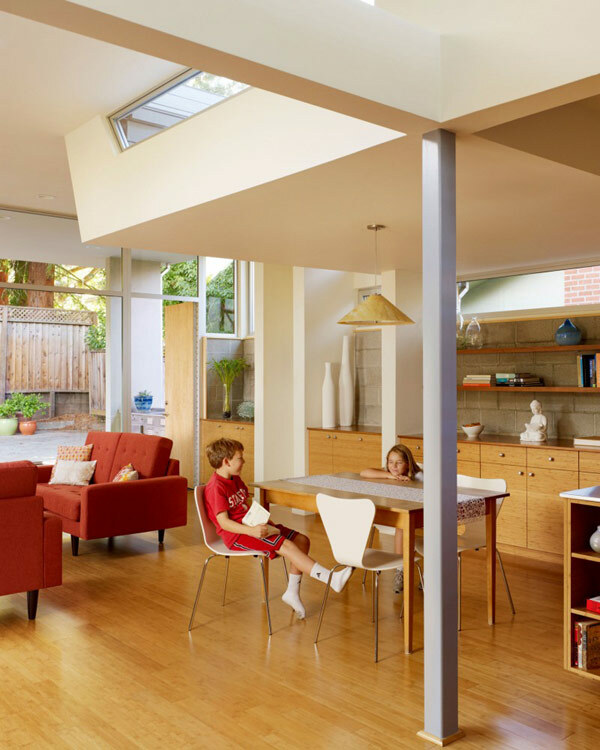 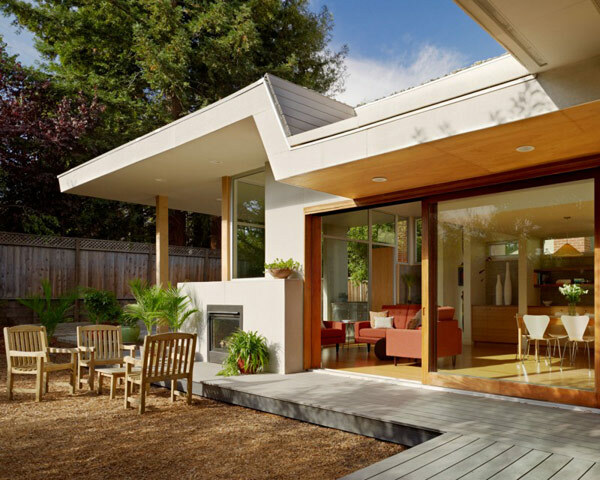 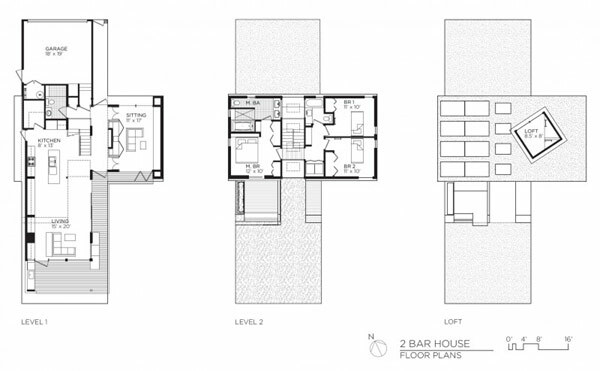 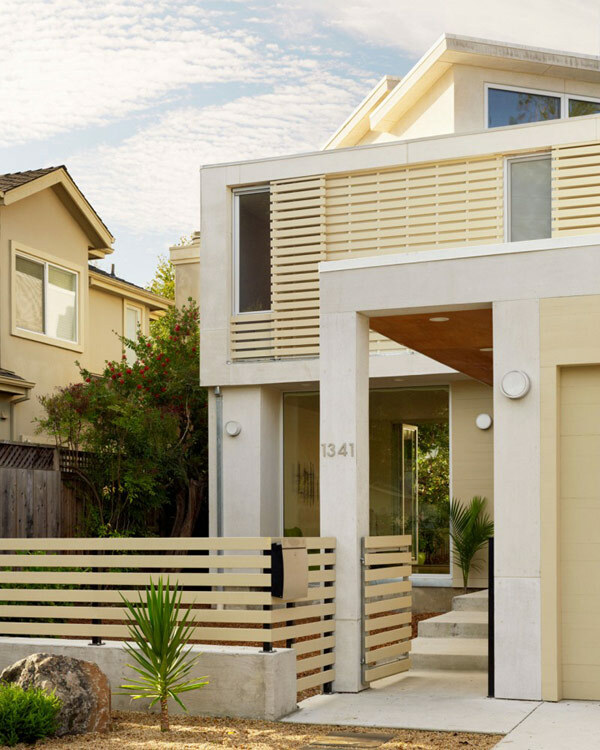 Located in the California’s San Francisco Bay Area, the 2 Bar House is a modern residential project consisting of a series of carefully designed spaces that shelter a family with two young children. 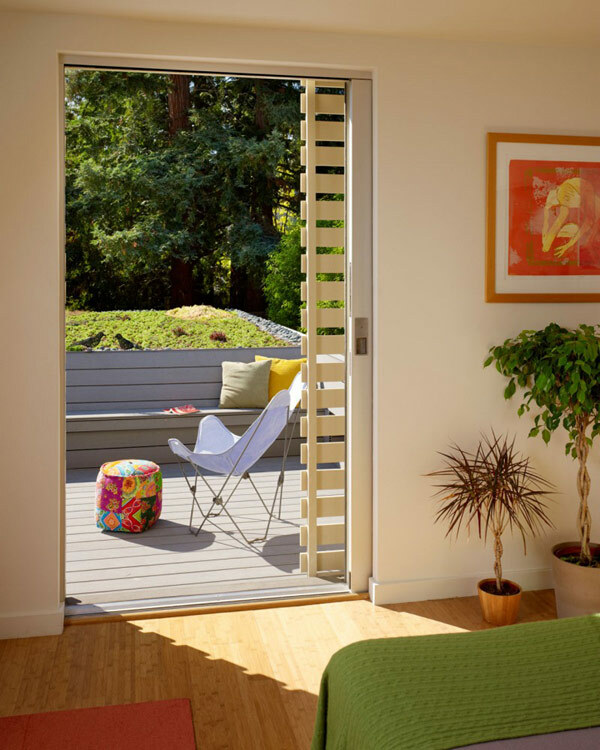 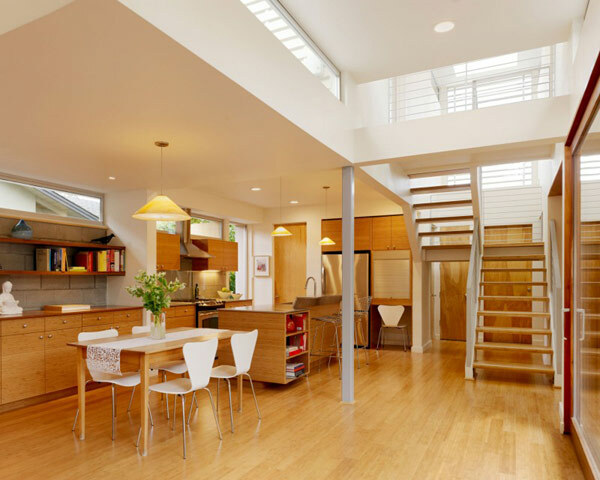 Designed by San Francisco-based Feldman Architecture, the two story contemporary residence shelters the bedrooms on the upper floor, while the bright and cheery living spaces are downstairs. 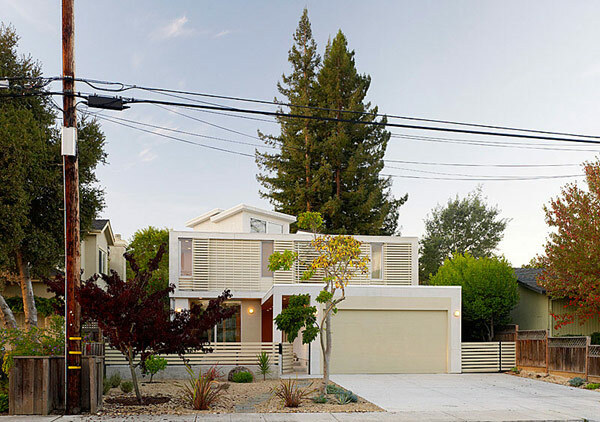 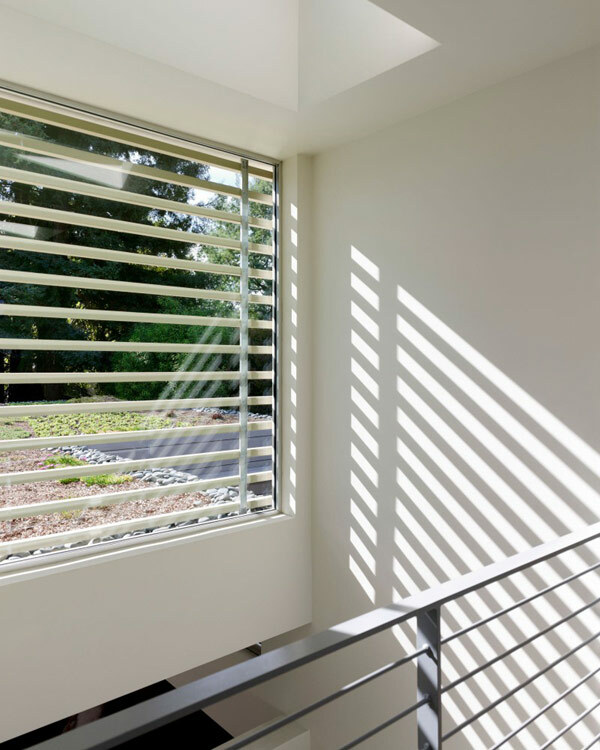 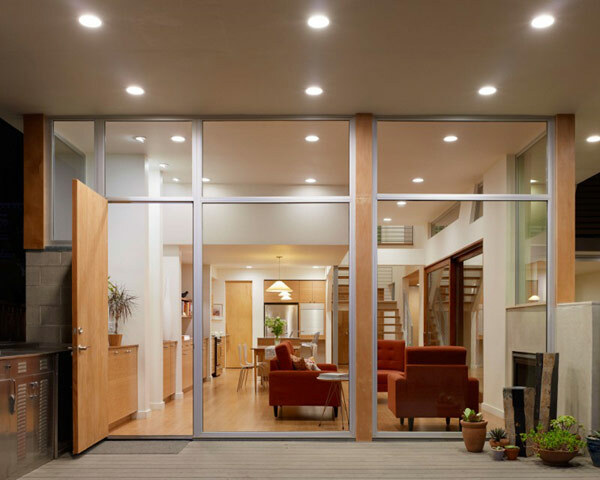 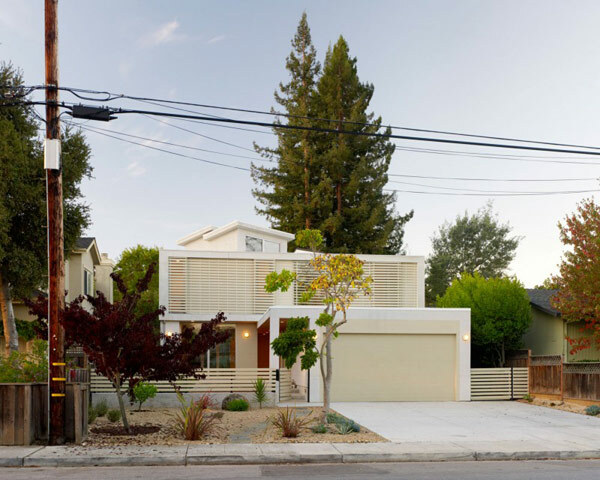 Since its completion in 2010, the 2,120 square foot home located in Menlo Park has been adorning its neighborhood with a pretty private facade. 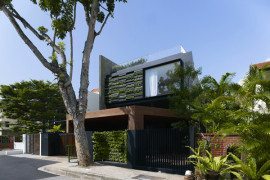 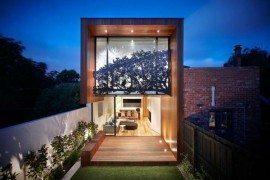 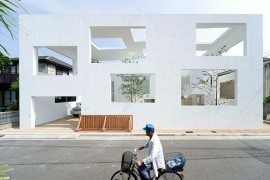 But behind the semi-closed rain screen-covered street facade, a beautiful collection of spaces opened to the garden invite the inhabitants to spend quality time together in the company of the landscaped garden beyond the glazed walls. 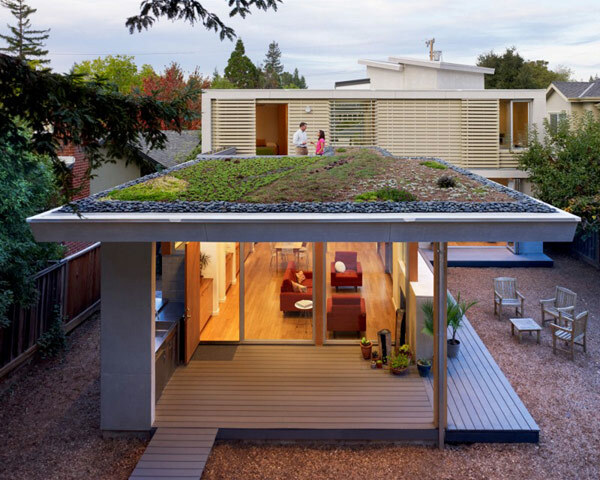 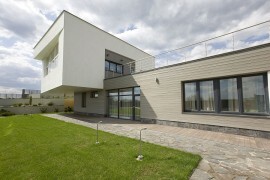 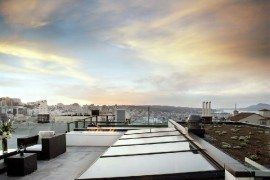 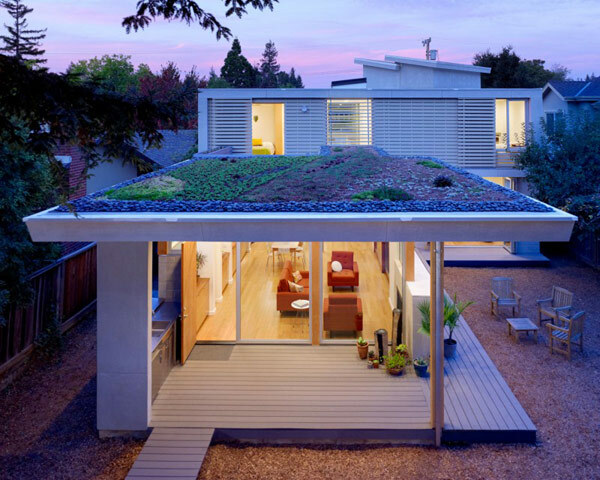 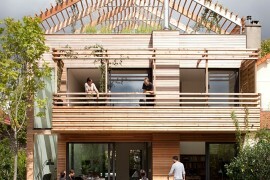 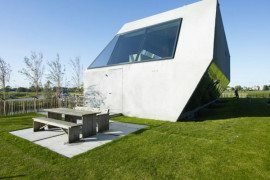 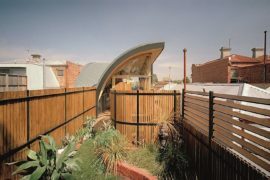 Even the green roof and deck are strongly connected to the natural environment, creating a sustainable set of features.